“How do you fit a veterinary doctor, fodder and a water tank inside a pickup van?” asks Nooruddin, sitting at a tea shop. The 50-year-old former goat keeper now marks buffaloes with colour at the animal market in Firozpur Jhirka for Rs 200, twice a week. Supplementary earnings working at a butcher shop take his monthly income to nearly Rs 3,000. That’s a fifth of what he used to earn a year ago. “If the government has a problem with cows, calves and oxen, why is it strangulating our jobs?” says an angry Nooruddin, who has to commute 35 kilometres to reach the market from his village, Rehan Tappar in Haryana’s Nuh district. Stringent legislations in states after states have left the livestock economy in a lurch; they have criminalised the livelihood of cattle traders and cattle keepers. This Mewat area has been one of the worst-hit. Fifteen of the 20 incidents of killing over cow vigilantism in the last two years were related to movements of cattle. While perpetrators of murders are yet to be brought to justice, at least 53 cases regarding transport / movement of cattle have been lodged in Haryana in the same time, according to People’s Union for Democratic Rights. At the weekly market, spread over two hectares, about 1,500 cattle and buffaloes changed hands every week. The local civic body made more than Rs 2 crore, issuing contracts for the market. But the number of buffaloes and goats coming to the market has drastically reduced as more and more traders keep away due to increased attacks on vehicles transporting cattle. No wonder, district agriculture officials, meanwhile, do not want to share data on animal trading. Off the record, an official said cattle trade has slumped by 80 per cent. Vigilantes use these gaps to attack cattle traders, leaving contractors a worried lot. “There are hardly 300 buffaloes being traded this week,” says contractor Noor Shah. Such has been the situation for a couple of years now; even villages hardly have any cattle, he adds. Reports from other north Indian states point to a similar situation. While the iconic animal fair in Pushkar has seen dwindling footfall, at the Nakkhas animal market in UP’s Lakhimpur Kheri, recently only 12 buffaloes and 15 goats were sold. All oxen remain unsold and no cow reached the market. Haryana’s indigenous cattle have dropped 18 per cent, according to the 19th Livestock Census. Mewat district has bucked the trend of moving onto exotic species, which means it still depends on an indigenous cattle population of about 33,000. But they can be hardly seen. Trading, earlier, was a part of the circular economy—farmers would sell less productive cows for more productive ones. Cattle would typically pass four-five households in its life cycle. This also helped improve cattle breed. The Haryana Gauvansh Sanrakshan and Gausamvardhan Act, 2015, which prohibits cow slaughter, consumption, sale and storage of beef, has made cows pariah among villagers who earlier traded cattle or took to the dairy business. An imprisonment clause of up to 10 years and fines up to Rs 1 lakh mean farmers are forced to keep unproductive cattle, which costs around Rs 72,000 according to Down To Earth’s calculations. 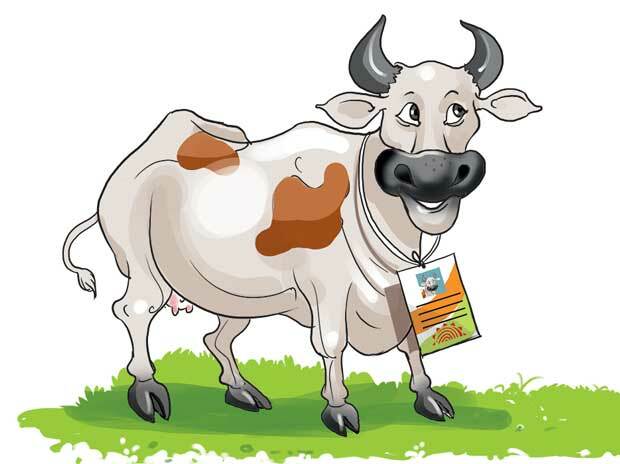 Already, indigenous cows contribute only 6 per cent to Haryana’s milk production. More stringent laws may land them in an existential crisis. Take the example of Ahmedbash village. Wary villagers there decided to abandon their cattle last year before a government surveyor was to visit for an official counting. “As the news spread, many from surrounding villages did the same,” says Khalid, an Ahmedbash resident. The laws and the violence have not disrupted the trading of bovines alone. “The police have even blocked our goat business,” Nooruddin says. Those associated with such business were anyway, trapped by poverty. Nuh, where such trading was prevalent, featured among the lowest rung in the 2011 socio-economic caste census: About 70 per cent households reported a monthly income of less than Rs 5,000 and half the households took to casual labour. This district had the lowest representation in jobs—public and private. It took him 15 days to free his goats, 19 of which died in the process, Several ran away and he was left with only six goats and a debt of Rs 2 lakh. The trade runs on high-interest, short-term loans. A similar story is told by 19-year-old Imran Qureshi from Rehanganj village in the same district. The Delhi Police seized 39 goats from him and his father-in-law Md Iqbal last February on the same charge. “In the last two months, 20 of our goats died due to lack of care. Can you help us get them back? We are in huge debt, we did nothing wrong,” Iqbal’s father-in-law said over the phone, hoping an intervention by the media would help him. They had to cough up Rs 15,000 for bail at the Tees Hazari police station. Imran adds that they left the goats there as the police demanded Rs 250 per day to keep them. The police station denied any such incident and claimed the goats were already released. Jameel Qureshi still carries scars on his forehead from the 36 stitches he had to undergo when the UP Police beat him up in April 2016. The 21-year old, a labourer who would load and unload goats, was in a van carrying 36 goats. “At Sector 62, Ghaziabad, the police beat us up, snatched Rs 5,000 and took all 36 goats. We have never been to Gaziabad again,” Jameel says. Such attack on livelihoods often pushes them towards bribing vigilantes and the police. “At Hodal in Haryana and Kosi Kalan in UP, we pay Rs 5,000 per month to cow vigilantes and Rs 500 per animal to the police,” alleges Roushan khan, a truck driver, who was once beaten up by policemen in Mathura. Eliciting such response is not easy: fear is visible on the face of people at the market. Forget taking names, they don’t even want to tell which police station they were detained at. Gradually a pattern emerges: Of how the entire district, and especially the Muslims and Dalits living there, have been painted tainted. Even small quantities of beef or meat alleged to be beef, often for personal consumption, has led to attacks. At Doua, a village near Ferozepur Jhirka famous for its Biryani, villagers allege harassment for “selling beef” though they insist the meat is of buffalo and goat. In August 2016, samples of biryani were taken from Mundaka village and seven were booked. Haroon, who bought a pickup van three years ago says he struggles to pay his instalments as business has been soft. Yet he avoids venturing outside the district, fearing persecution. The same is the case with labourers from the area. When Md Umar of Dhadhula ki Khurd village went to Faridabad in search of work, he was mobbed on rumours that he was looking for cows. “I prefer to work within Mewat; outside we are branded as cow smugglers,” Ishtiyaq, another youth. This branding of Mewat’s Muslims as cow slaughterers and smugglers has become a trend, says a senior government official who doesn’t wish to be named. “We are either looked down upon or discriminated,” says the official, underscoring the extent of the problem.